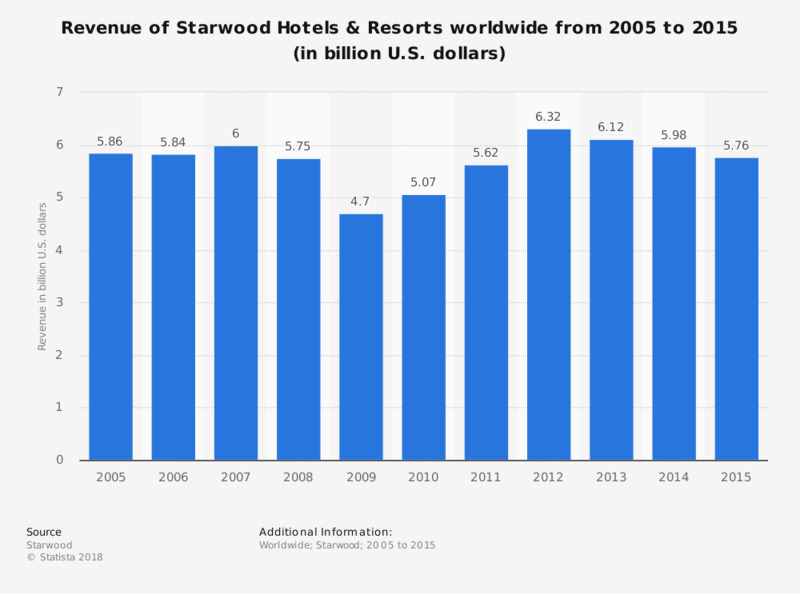 This statistic shows the revenue of Starwood Hotels & Resorts worldwide from 2005 to 2015. The hotel company generated approximately 5.76 billion U.S. dollars in revenue in 2015. Starwood Hotels & Resorts was founded in 1969 and now has more than 1,200 properties worldwide. Figures for 2005 to 2010 come from earlier financial releases. Figures have been rounded. Which one of the following budget hotels would you prefer to stay in?